DIRECTIONS: Cut the apple into thin wedges. Fill each shortcake cup with pudding and arrange the wedges equally among the 4 servings by sticking them into the pudding. 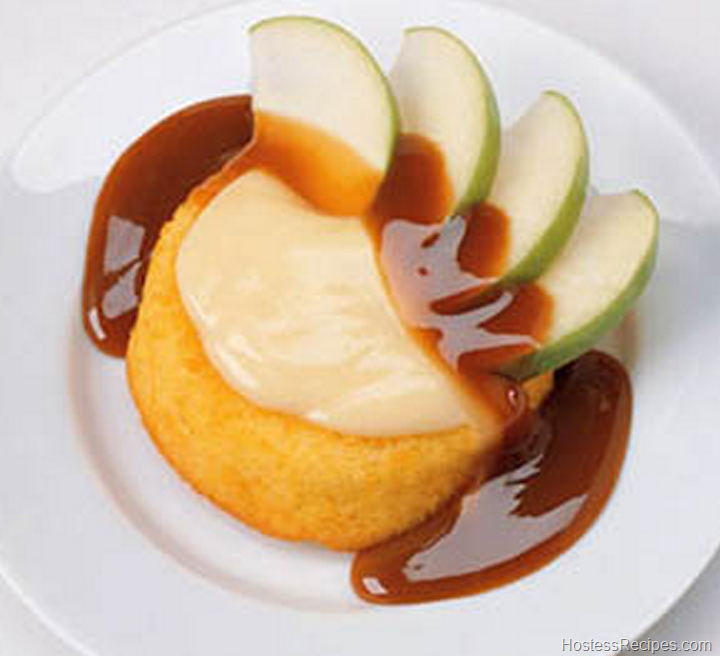 Drizzle with caramel topping.